Bianca Wofford of San Diego had sued Apple in October 2010, seeking $5,000 in damages for each affected user, claiming that the company had made false statements regarding the benefits of iOS 4 and complaining that the update had instead "rendered the iPhone 3G devices virtually unusable, constantly slowed, crashed or frozen." Wofford's lawsuit contended that Apple prevented iPhone 3G users upgrading to iOS 4 from downgrading back to iOS 3, purportedly to force them into purchasing the newer iPhone 3GS or iPhone 4. According to the suit, the plaintiff's iPhone has gone from 99 percent reliability to "about 20 percent functionality" because of the iOS 4 upgrade. However, Judge Anthony J. Battaglia ruled this week that because iOS 4 was free update, it did not amount to a "sale or lease" regulated under California's Consumer Legal Remedy Act. The judge noted, "the Plaintiffs original purchase of the iPhone is a separate transaction from their free upgrade of the iPhones operating system, which occurred about a year later. The iPhones software upgrade was not intended to result in a 'sale or lease' because it was provided free of charge." The judge also ruled that the update did not quality as a "good or service" and therefore dismissed Wafford's related claims alleging false advertising and deceptive business practices. Three months before Wofford's claim was filed, Apple told the Wall Street Journal it was investigating performance issues with iPhone 3G running iOS 4, and just over a month later, Steve Jobs announced an iOS 4.1 update designed to address, among other things, iPhone 3G performance issues. Apple's iPhone 3G, first released in July 2008, currently runs iOS 4.2.1, an update released nearly two and a half years after the phone first went on sale. 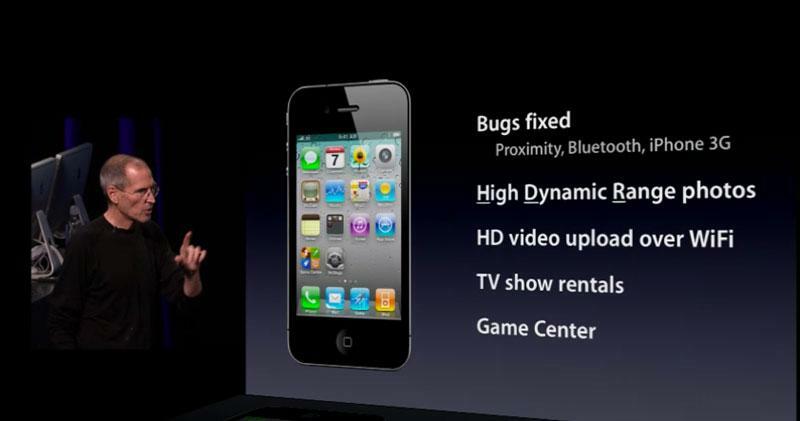 Apple's latest iOS 5 runs only on the iPhone 3GS or newer models. Few alternative mobile platforms release updates for their devices for more than a year.